This is the second part of a post I wrote back in March (Rules to Live by - Part 1) about the rules or words I live by and the things I have learned (or am learning) along the way. My chronic fatigue syndrome has been a great teacher and my desire to understand this and come to terms with it has led me down some interesting paths. Although, that said, these "rules" or "life wisdom" as I like to call them have been a part of my life for many years - I still keep unearthing earlier, colourful laminated versions with many common themes. Keep learning - it keeps you vibrant, happy and moving forwards. Don’t get stuck doing the same old things. View failure as a useful learning experience - if you’re not failing, you’re not trying hard enough. Don’t live a life of regret for things I wish I’d done or tried. If I don’t ask or don’t try, I don’t get! The quote above is taken from a short poem by Erin Hanson (e.h), a 19 year old Australian. It’s OK to ask for help. In fact it’s good to ask for help - it’s amazing what opens up…Remember: perfect is the enemy of done. And fun for that matter! Don’t keep waiting for the perfect time. There is no perfect time. Do it now, make a start. Be present and enjoy the now. There is only now. Don't be so caught up in the past or the future, that you miss out on life right now. Don’t brush difficult things under the carpet because I don’t know what to do about them. Don’t put things off. Talk about it. Break it down and take the next action. Let go more. Relax. I can't (nor should I) control everything. Surrender and open myself up to new possibilities. Just because I can't see them yet doesn't mean they aren't there. Play (it's not just for kids). Do things JUST FOR FUN, because I love them, because they make me happy, not for an end game. Laugh more, be silly. Be kind to myself, and to others, and love lots, unconditionally. Stop judging myself so harshly. I'm doing my best, and that's good enough. Remember that we're all fighting some kind of battle, even if we don't shout about it. Don’t dwell on the negatives. Forgive and forget. Happiness is a choice. I can’t always control what happens to me in life, but I can control how I feel about it. And treat others the way I want to be treated, without expectation. The small stuff matters. Be true to myself. *This gem of wisdom came from the lovely, wise Sas Petherick. You must take a look at her blog if you haven't already - it's packed full of wisdom and soul searching questions. Make a cup of tea and get comfy first. If I’m feeling overwhelmed by tasks and lists - stop! Very little is really essential. If I can’t focus, choose a simpler, lower energy task - and don’t feel bad curling up with a book. Over the years, I've developed a set of what I like to call "rules to live by". 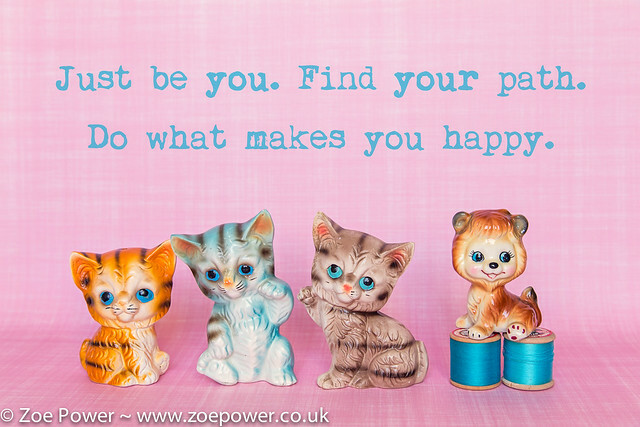 These are little insights that resurface over and over again and describe the things I need to do to stay a happy Zoë and maintain a happy and healthy life. They usually become apparent in times of stress and upset. I've probably learnt the most over the last few years as I've come to terms with living with chronic fatigue and am constantly learning how best to manage it. Whilst they are very personal to me (and I'm certainly not suggesting that this is what everyone must do! ), I thought they might be of help or interest to others, so I decided to share them here. There are rather a lot of them, so I'll spread them over a couple of posts. You can read Part 2 here. Accept (and be happy) that what I want to do / like / makes me happy etc. will be different to others. Just follow my path, and don’t waste time thinking that I should like or do something else, because that's what everyone else seems to want to do. Do what nourishes me and makes me happy. Their lives, experience, health etc. is different to mine. And remember that often we only get to see the highlight reel - not their struggles. Just compare myself to myself. 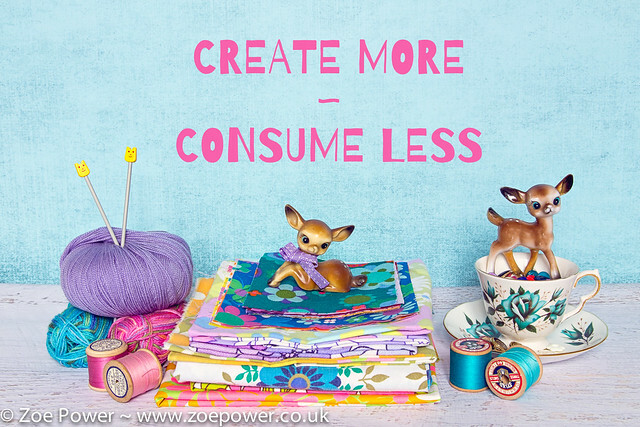 Spend less time looking at what everyone else has done online and more time creating my own things: photos, blogging, sewing, knitting and other crafty stuff. Time box internet time. I don’t have to respond to everything immediately - or at all, in fact. Need to spend time in the real world. don’t worry about saying no! Make time to maintain and develop relationships with lovely people. Arrange things I like doing with people I share common interests with. But don’t overdo it. Don’t be afraid to let those people go who upset me / I find difficult / I don’t relate to. Thing's change, we change, and we need different things and different people in our lives over time. Surround myself with like-minded, positive, respectful people. Be kind, be thoughtful and above all, treat others as I would like to be treated. Eat lots of veggies, unprocessed wholefoods and avoid sugar. Go easy on the alcohol, especially if I’m feeling foggy and achey - it makes my CFS much worse. Make time to cook healthy meals and to prepare stuff: it’s important. Do yoga 5 x week - it keeps me grounded and my systems working properly. And walk as often as I can - slowly increase the amount I do. 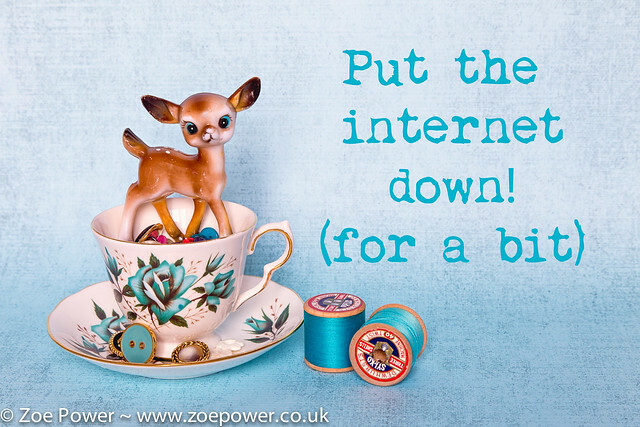 Go to bed in good time - put down the internet! Get out regularly for fresh air and walks. And surround myself as often as I can by greenery, space, quiet and the sea. It nourishes me. Do you have any rules to live by?